I guess slapping a new(er) business name -- such as "Dave's Popcorn" -- is one way to repurpose a vintage Coca-Cola sign. 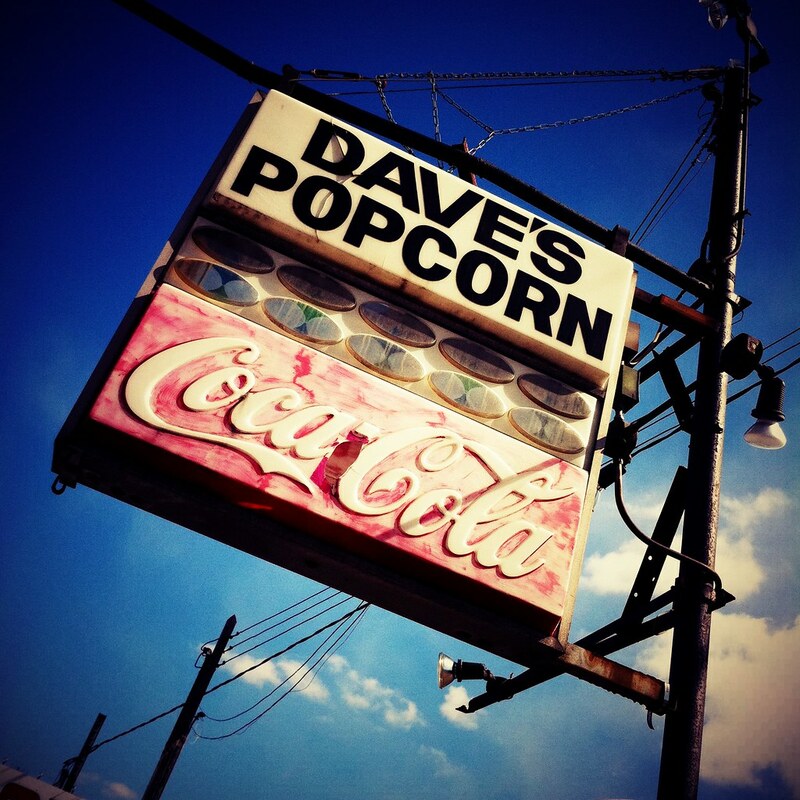 Actually, the sign was most likely made exclusively for Dave's Popcorn by a local Coca-Cola distributor. It used to be common practice in MN for food & beverage distributors to give signs like these to local establishments. The business gets a free sign, the brand gets prime promotional space--and everybody was happy. Nowadays, distributors aren't allowed to give businesses permanent signage like this.